Solar Panel Costs & Prices 2016 - How much does Solar PV cost? In recent years, the cost of solar panels has fallen, making it an affordable renewable energy solution for households around the world. By many standards, a solar panel installation is still a costly expense, but beyond the initial outlay, there are a number of financial incentives available, which make solar panels a cost effective and profitable investment. In this guide, we will look at the costs involved in installing solar panels, the financial returns and the factors that influence solar panel prices. We will also explore how you can save many on the cost of a solar panel installation, and much more. In 2016, the average cost of a solar panel installation is between £4,000 and £5,500, for a 3kW solar PV array. Just a few short years ago, in 2010, the price for the same solar panel system was almost 3x more expensive, costing in excess of £13,000. 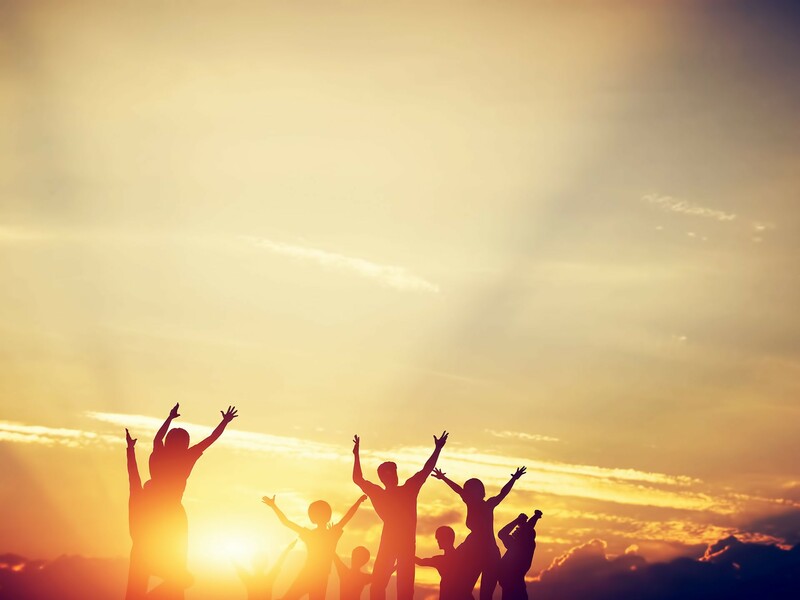 Whilst £4,000 may seem like a lot of money for a 3kW system, there are a number of financial rewards and incentives that help you recoup your investment in solar. 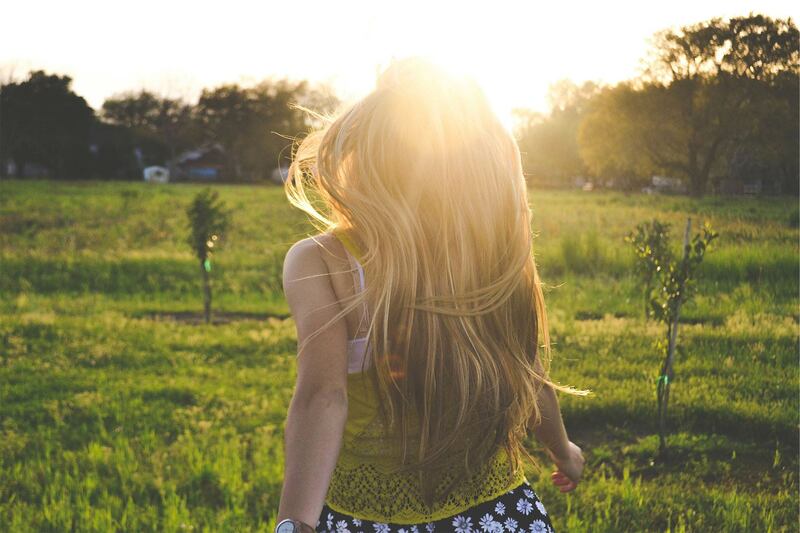 Not only will solar panels help you save money on your electricity bills, but you will also receive the government backed feed-in tariff for every unit of power your system generates. If you have a very small property, and do not consume much electricity, a 1kW solar panel system is a cheap and effective way to generate renewable solar power. Small 1kW solar panel systems are also useful when you have limited usable roof space available, which can occur for many reasons, such as roof windows, restricted southerly facing aspects or even shading over the roof. 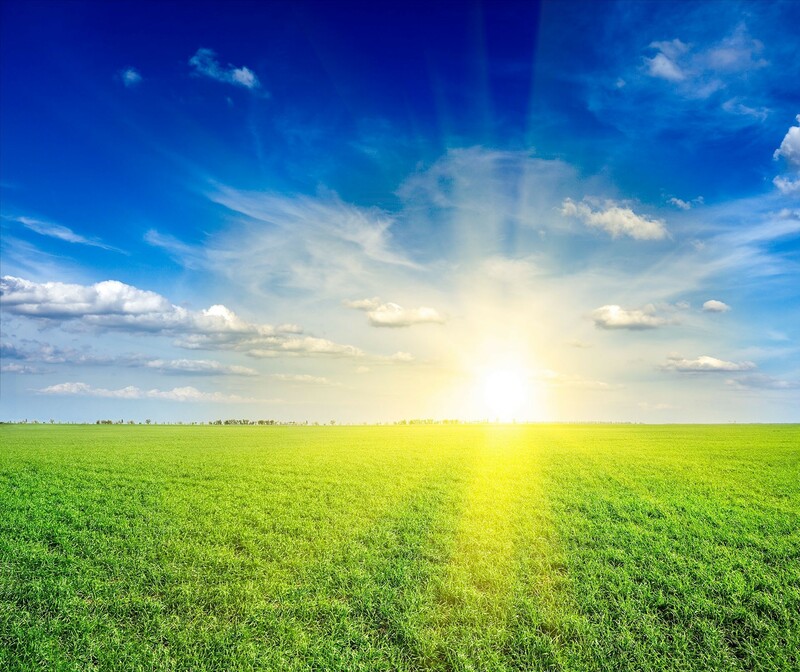 A 1kW system is likely to generate approximately 750 – 850 kWh of electricity per year, which is approximately 30% of an average UK homes energy consumption of 3,000 kWh per annum. A 1 kW solar panel system only requires approximately 7-8 square meters of room for installation. Unless you have a very small home, with minimal energy consumption, we would recommend opting for the larger 2kW solar panel array over the 1kW system. If you have an energy efficient small home, a 2kW solar panel system that produces approximately 1,500-1,700 kWh of electricity per year, may be sufficient to cover your electricity consumption. Being a slightly larger system, you will require approximately 14 square meters of available roof space for a 2kW solar panel installation. A 2kW solar PV system would be a great addition to any home, saving you money on your power bills, earning you an income from the FiT payments and reducing your carbon footprint. One of the most common solar PV system sizes in the UK are 3kW solar panel arrays. These systems produce approximately 2,500kWh of electricity each year, which is sufficient for many small to mid-sized homes. In order to install a 3kW solar panel system, you will require approximately 21 square meters of available roof space. Remember that for the best results, your roof should be southerly facing (including South East and South West), and not affected by shading from nearby trees or buildings. A 4kW solar panel system normally costs between £5,000 to £6,000 in the UK, and is a very popular choice for homeowners. A 4kW solar PV array will produce approximately 3,300 kWh of electricity each year, which is more than the electricity consumption of an average house in the UK. A larger roof space of approximately 29 square meters will be required for the installation. Most homes that have a 4kW system will generate excess electricity, which can be put back into the power grid, and create more income from the panels for the owners. A 5kW system is large, and requires a considerable amount of roof space (around 36 square meters) for installation. As such, 5kW arrays are often one of the largest solar PV systems you will find a domestic building. A 5kW solar panel array can produce more than 4,100 kWh of electricity each year, and combined with the larger required roof space for installation, systems this size and larger are popular with business and commercial sites. Solar PV systems that are 6kW or larger are mostly used by commercial clients, with considerable roof space available. A 6kW solar panel system would produce approximately 5,000 kWh of electricity per year. 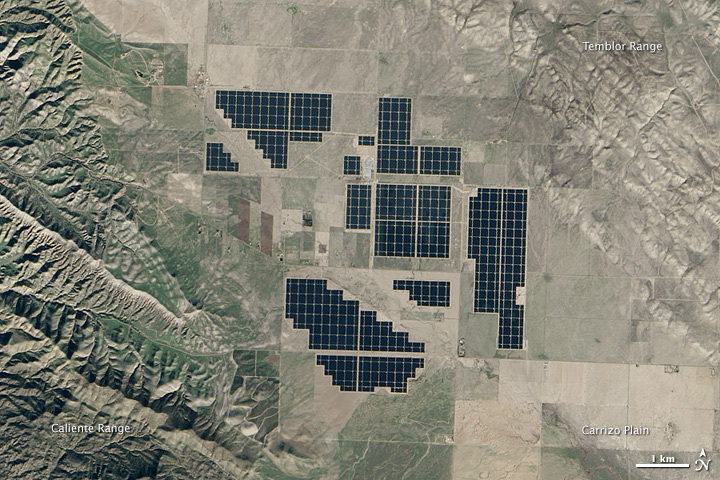 Topaz Solar Park in California is one of the largest solar panel farms in the world. Topaz has an impressive 9 million solar panels, and has a total capacity of 580,000 kW. This photovoltaic farm produces solar power on a commercial scale, and creates enough electricity to power 160,000 homes. Are there any cheaper solar panel installation options? Smaller solar PV systems are cheaper to install than larger systems. If you only have a small budget, you could consider opting for a smaller 1kW or 2kW system. These systems use less hardware, are faster to install and have less panels, making them cheaper than larger systems. Smaller systems are also useful when roof space is limited. Not everyone has the savings required to install a solar panel system, but fortunately you may qualify for a free solar panel scheme. 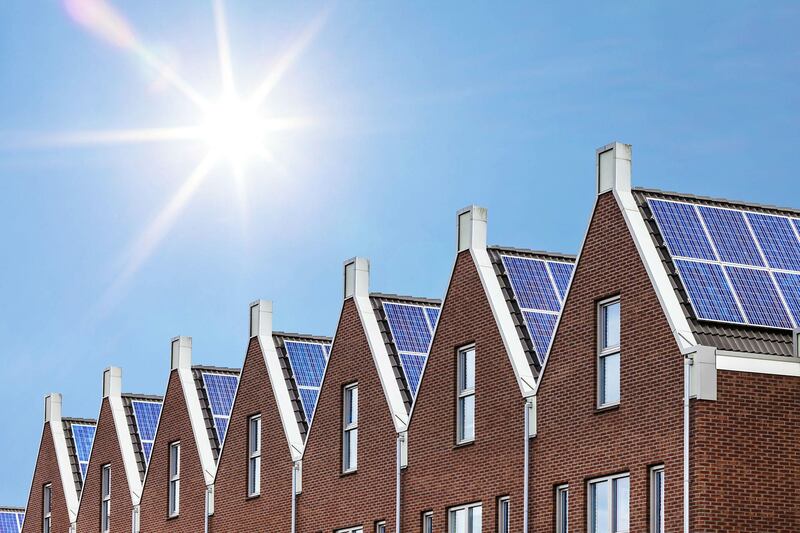 Also known as ‘rent a roof’, these schemes offer homeowners the opportunity to have a system installed at no cost, and benefit from free solar electricity, but the installer keeps the feed-in tariff payments. What influences solar panel prices? 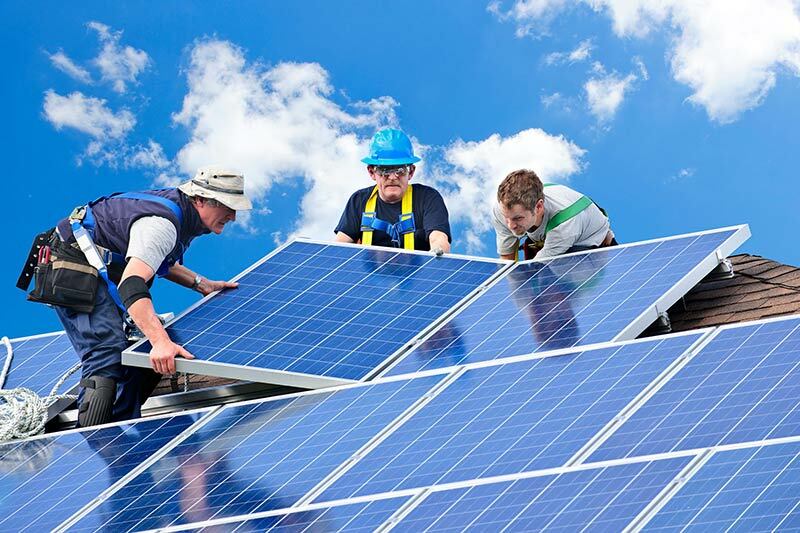 There are a number of factors that influence the cost of a solar panel installation. One of the most obvious factors in the price of your solar panel system is the size you require. Smaller solar PV systems cost less than larger systems, as they require less equipment and hardware, fewer panels, are faster to install and the installation is generally easier. Location is another factor that can affect the price of solar panels. In some cases, there may be high levels of competition between installers, which is often good news for a consumer, as you are more likely to receive very competitive solar panel quotes. Accessibility will play a role in the cost of your solar panel installation, as a roof that is easier to access will cost less than a roof with difficult access. Properties with easier access will require less equipment and time, and make the solar PV installation cheaper. For example, a home with only 1 storey will require less scaffolding than a flat with 5 storeys’. Another important consideration in solar panel pricing is the solar panel type you choose. There are numerous options, including thin film, monocrystalline and polycrystalline. Monocrystalline panels are the most expensive, but also have the highest electricity yield. As well as the panels material, the shape and form of the panels will also influence the pricing, with numerous options available, such as solar panel tiles, in-roof solar panels and the standard solar panels that sit on top of the roof. Even if you find a cheap solar panel deal, the costs of installation can be quite daunting. When analysing whether solar panels are right for a property, many homeowners focus on the electricity bill savings, rather than the financial gains they will make from the Feed-in Tariff. The feed-in tariff is a government initiative, which began in 2010 to increase the uptake of domestic solar throughout the UK. The scheme rewards solar panel owners by paying them a fixed rate for every unit of power their system generates, even if they use the power themselves for appliances, lights, heating, etc. In 2016, the FiT rates dropped considerably, but you can still make a profit from your solar panels, especially as installation rates continue to fall. In addition to being paid for generating power, you will also be paid for electricity you export back onto the grid. Most households use less electricity during the day, as lights are not required and many people are out working or socialising, but this is when solar panels produce the most power. This excess power is not stored, unless you have a battery, and goes back into the electricity grid, which earns you a bonus payment, called the export tariff. There are a number of benefits that come with both buying solar panels outright and opting for a free solar panel installation. Below we will highlight reasons you may want to choose each option. Should I get a solar panel loan to pay for my installation? Solar panel loans and finance are often an alternative to free solar panels, as they provide homeowners who can’t afford the initial outlay the funds to install solar panels. 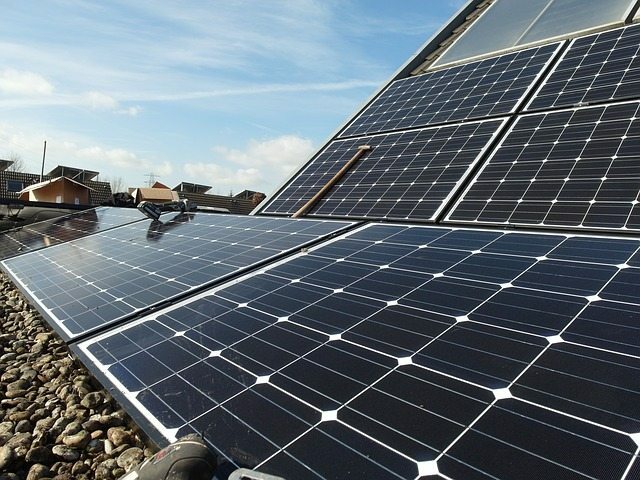 Solar panel loans allow homeowners to take advantage of the Feed-in Tariff scheme. In most circumstances, the money made from the feed-in tariff scheme, combined with the electricity savings, will pay back a solar panel loan in around 10 years. After that period, the panels are yours and you will benefit from the ongoing feed-in tariff payments and electricity bill savings. Before taking out a solar panel loan, it is essential that you seek financial advice from a professional. How are companies able to offer free solar panel installations? The main reason solar panel installers are able to offer free solar panels is thanks to the government backed feed-in tariff scheme. This scheme pays a fixed rate for every unit of electricity that is produced, even if that power is used. An additional payment is made for any excess power that is created by the solar panels and put back into the grid, which is known as the export tariff. Normally, this payment would go to the homeowner, but when solar panels are installed for free, the payment goes to the installing company. In return for renting your roof to an installer, you will receive free electricity generated by the solar panels. As such, if you are looking to reduce your electricity bill, and don’t mind having a few panels on your roof, you can choose a free solar panel scheme. Are solar panels a wise and safe investment? Yes, solar panels are a good investment, thanks mostly to the generous feed-in tariff scheme, which will help you recoup your invested money and continue to generate a nice income for the 20 year FiT period. After your feed-in tariff period has ended, you will no longer receive payments for the electricity you generate and use, but will continue to make savings on your electricity bills. Solar panels have an extremely long lifespan, losing less than 0.5% of their efficiency each year. As such, after 30 years, your solar panels will still be generating more than 85% of their peak capacity, which will produce you a lot of free electricity. Can Solar Panels add value to my home? Yes, solar panels can certainly add value to your property. Solar panels are often viewed favourably by homebuyers, who are attracted by the free electricity they will generate. Solar panels also improve the energy efficiency of your property, making your home more valuable in the eyes of a potential buyer. How big can my solar panel system be? The main limitation to the size of a solar panel system is available room on the roof of your home. The larger the solar panel array, the more space you will need. In most cases, not all of your roof can be used, as solar panels on northerly facing roof aspects will not produce much (if any) solar power, so only Southerly facing roof sides should be used. It is also important to consider any shading that occurs on the roof from nearby trees and buildings, as the solar panels won’t work to their full capacity if they are partially shaded. What type of panel is best value for money? The three main types of solar panel are thin film, multicrystalline and monocrystalline. Thin film and multicrystalline solar panels are cheaper than monocrystalline panels, but are also less efficient, so more panels and space are required to create the same sized solar panel system. Monocrystalline Solar Panels: Monocrystalline solar panels are the most efficient, but also the most expensive. They are perfect for when space is restricted, but you require a larger kilowatt system to meet your electricity demands. They are made from the highest grade silicon, and production is more difficult than with other panels. Monocrystalline panels also have the longest life expectancy, and maintain their peak electricity efficiency the best. Polycrystalline Solar Panels: The process of making polycrystalline solar panels is cheaper, easier and has less waste than monocrystalline panels. 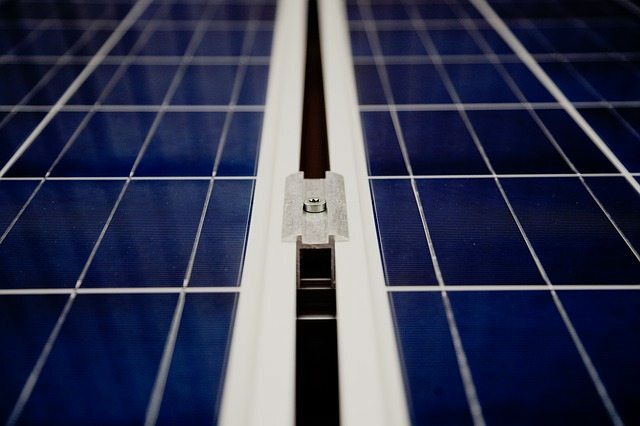 They use a less pure silicon, which does result in a lower electricity yield than monocrystalline panels, and they also require more roof space for installation. They are however uniform in appearance, making them more aesthetically pleasing, and are cheaper than monocrystalline panels for the same sized kilowatt solar panel array. Thin Film Solar Panels: Thin film solar panels are the cheapest solar panels due to simple and cost effective mass production. Thin film solar cells do not have the same electricity yields as the other solar panels, but they are less affected by shading and high temperatures. Due to their reduced efficiency, a larger roof space is required compared to the more efficient solar panels, and as a result, they are not as widely used in domestic installations. When comparing solar panel tiles, in-roof solar panels and standard solar panels, the cost of tiles and in-roof solar panels are far more expensive than panels that rest on top of your roof. In many cases, solar tiles and in-roof solar panels are only used when the whole roof is being refitted or in new builds. It is often cloudy in my area, why would I want to invest in solar panels? Although solar panels do work best when it is a clear and sunny day, photovoltaic cells still produce electricity when it is cloudy. Cold weather is also beneficial to electricity production, as solar PV panels use the suns light and not heat to produce power. Solar PV electricity production slows when the panels are hot. As such, the UK has a great climate for solar PV panels, and a 3 or 4 kW system should be more than sufficient to produce enough electricity to power an average home. How can I find the cheapest solar panel installation deal? As photovoltaic panels are a considerable purchase, it is important that you receive the most affordable solar panel prices. When starting your hunt for a solar panel installer, remember that your installer and the panels they use must be MCS certified in order to receive the Feed-in Tariff payments. Enquire in Winter – Solar panels are not normally on the minds of consumers during the colder months, when days are shorter and clouds are frequent. The low season is a great time to grab a great deal on your solar panel installation, with many installers willing to provide discounted solar panel prices to secure your work. Be Knowledgeable – Whilst you do not have to be an expert, it is a good idea to have some general knowledge of solar panels. Perhaps decide on what type of solar panels you would like installed (monocrystalline, polycrystalline or thin film solar panels) and brush up on the common solar jargon. Receive Multiple Quotes – Home improvement and property experts always advise that you request multiple quotes before deciding on who to go with. In many cases, you can use the cheapest quote to negotiate a better deal with your preferred installer. Recruit the Neighbourhood – If you know 1, 2 or even 10 homeowners in your area who are considering solar panels, you can request a joint quote for all of the homeowners and you will receive sizeable discounts. Ask for an Itemised Quote – Having a breakdown of the quote is useful so you know exactly what you are paying for, and can potentially remove any unwanted extras. For more tips, check out our money saving guide. Do I need to pay for planning permission? In the UK, most domestic solar panel installations are considered a permitted development, which means you do not require planning permission, and saves homeowners several hundred pounds in fees. Do I need to pay VAT on Solar Panels? Yes, VAT is charged on solar panel installations. For some time, the VAT on solar panels in the UK has been charged at the reduced rate of 5%. Unfortunately, in 2015 an EU court ruled that HMRC’s reduced VAT rates for energy saving materials, including solar panels, was a violation of the European Union’s VAT Directive. As a result, HMRC has confirmed that the VAT rate of solar panels will soon rise to 20%, which will see an increase in the cost of solar panel installations throughout the UK. After the increase takes place, the cost of a 4kW installation is likely to rise by more than £750. Where will solar panel prices be in the future? Despite the slight rise in solar panel installation rates due to increase in VAT, the cost of manufacturing solar panels will continue to fall, which is good news for consumers. Solar panels are also becoming more efficient, which allows larger systems to be created from fewer panels, which will also help ensure an affordable solar panel future. Whilst the cost of purchasing solar panels will continue to fall, the feed-in tariff rates are also in decline. Each quarter, the FiT rates are reduced and the financial returns from solar panels also decrease. To ensure you lock in the highest possible FiT rate for 20 years, it is advisable to install your solar panels in the near future. How much money can I save and make money with Solar Panels? There are three main ways you can either save money or make money from your solar panel installation. You will save money by reducing your reliance on the electricity grid, and instead use your own power generated by the solar panels. This will save you money on your electricity bills. You will make money from the Feed-in Tariff scheme, which will pay you for the electricity you produce. The more power your panels produce, the more you will be paid. This payment is known as the generation tariff, and is guaranteed even if you use all of the power yourself. The final way to make money from your solar panel system is by exporting excess electricity back onto the power grid. This is a bonus payment, known as the export tariff, which rewards energy efficient homes. Based on a 4kW solar panel system, you can expect to make a combined saving and income of more than £400 per year. This would represent a tax-free profit of over £3,000 over the duration of the 20 year FiT period, after deducting the installation cost of approximately £5,000. After the FiT period has ended, you will continue to make savings on your electricity bills for many years to come. How much does roof strengthening cost? It is essential that your roof can support the weight of the panels, and a roof inspection is carried out as part of the survey for your installation. Most roofs do not require additional work, but if your roof does require strengthening, your installer can normally carry out the work as part of the installation or will arrange a builder. The cost of roof strengthening varies depending on the extent of work that needs to be carried out, and in most cases shouldn’t be more than a few hundred pounds. How long will solar panels make money for? The feed in tariff scheme is fixed for 20 years, during which time you will receive the generation tariff (payments for every unit of power you generate) and the export tariff (payments for electricity you put back into the power grid). After that time, your installation will continue to save you money on your electricity bills, and with an extremely long life span, your PV panels can carry on powering your home for several more decades. What are the financial risks of buying solar panels? Solar panels are a low risk investment, mostly due to the UK government backing the Feed-in Tariff scheme, which guarantees fixed rate payments. The MCS certification program is also vital in ensuring that all solar panel installers and the equipment they use is of an extremely high standard. Solar panels do not have any moving parts, and require little maintenance. This means that they are a durable and reliable, with a long working life, which is supported by most installers providing a 25 year warranty. The solar inverter does have a shorter lifespan then the panels, and will often need replacing after approximately 15 years. Should I use the power myself or export it back onto the grid? The prospect of selling electricity back onto the grid is extremely attractive, and increases the financial returns from your solar panel installation. However, you should not divert all of your electricity production back onto the grid, but instead use as much as you need for yourself. Using your panel generated electricity for yourself will save you money, as exporting power that you could be using will only cover around half the cost of buying power from the grid. There will be times when you will generate more electricity then you are currently using, at which time your power will go into the grid and you will be paid the export tariff, but it does not make financial sense to export all of your generated power, and solely rely on the grid. What is the payback for a solar panel installation? The payback of an installation is the time it takes to earn the money you invested in the panels. The payback period is affected by a number of factors, including the FiT rates you receive, the size & cost of your solar panel system and the amount of electricity you produce. If you received a great deal on your solar panel install, and you have high electricity yields due to your property being in the South of England, the payback period will be shorter. However, if you live in say Scotland, and your panels are not as efficient, you will receive less from the feed-in tariff, and it will take longer for you to be in profit. Request a Free Quote & Save up to 60% on your Solar Panel Installation!